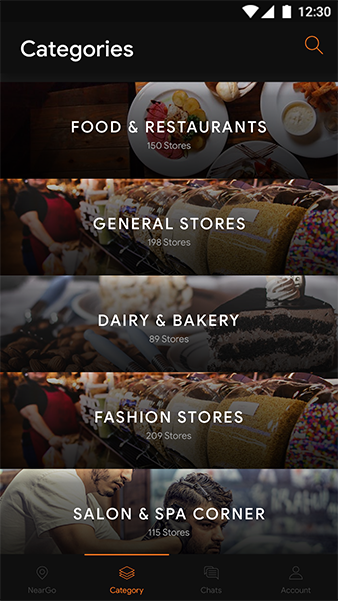 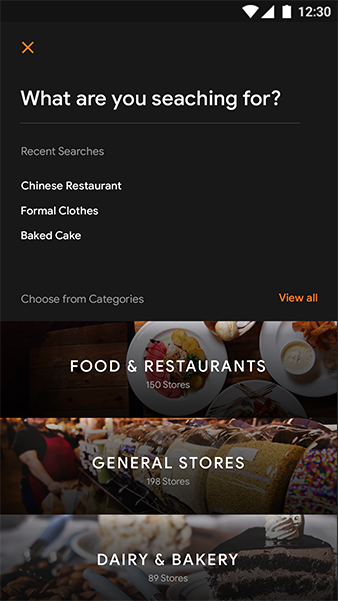 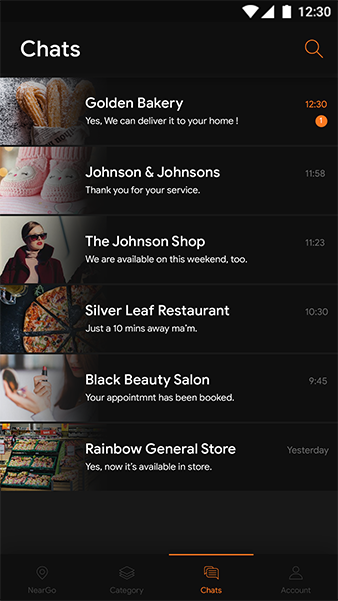 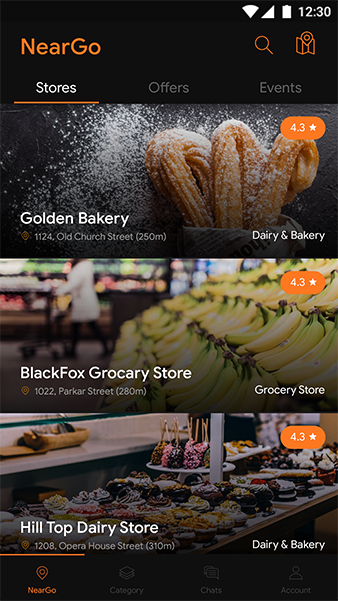 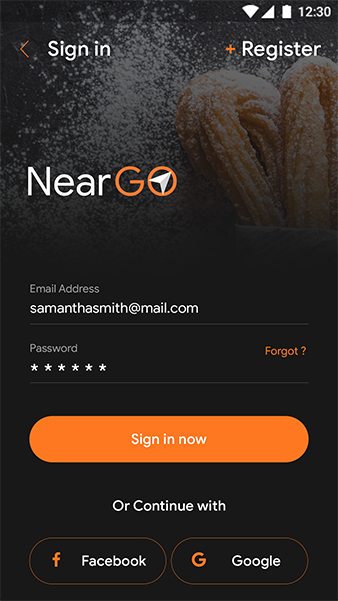 NearGO app allows user to find out stores, restaurants, gym, bakery, dairy, et all stores in nearby areas. 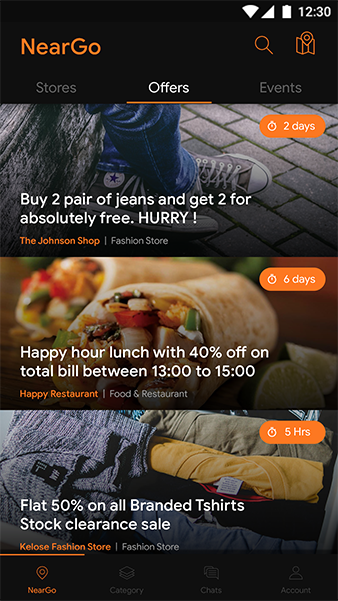 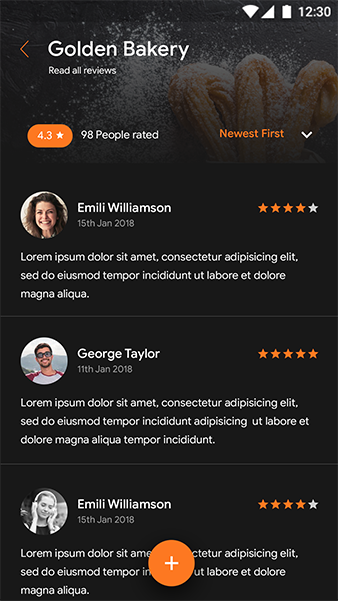 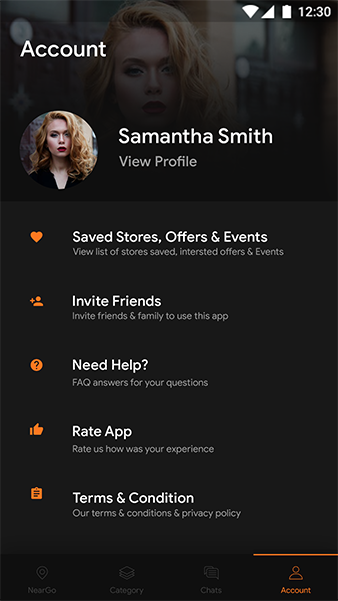 As well as a user get exciting offers avail in their areas and different events within their area. 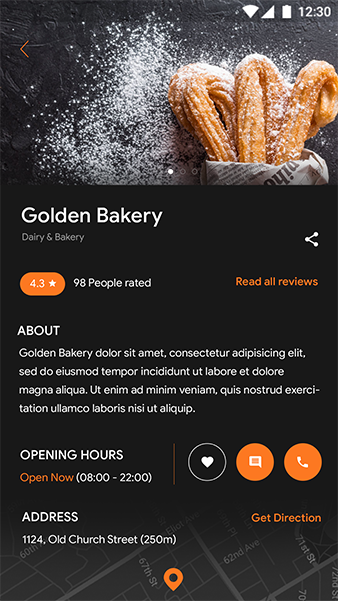 It also includes 22+15 fully layered and editable, high-resolution screens and comes in photoshop CC 2017 format.